Son of the artist Anne Redpath, Alastair Michie was born in northern France and educated in France and Scotland. He studied architecture in Edinburgh and began his career as a freelance graphic artist, following the completion of war service as a pilot in the Royal Air Force. During the 1960s, Michie began to produce paintings and sculptures and ultimately turned to working in acrylic and mixed media. 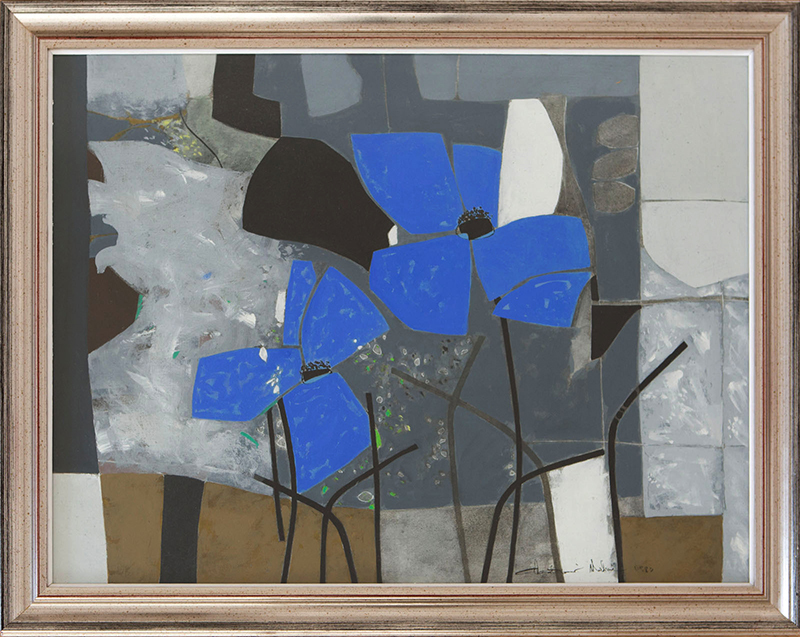 Known as a skilful colourist, he produced powerful abstract paintings which are influenced by the natural world. Michie worked in the Edinburgh tradition of producing works which are sensuously coloured with a bold handling of paint. However he was also greatly inspired by American artists of the 1960s and began to produce paintings in his signature style after this time. In 1984 Alastair Michie was elected to the Royal West of England Academy and exhibited at the Royal Academy and the Royal Scottish Academy.